LOVE Digital is fully funded by the Women and Broadband Challenge fund supported by the Government Equalities Office. The programme is a part of Connecting Devon and Somerset and is being delivered by Cosmic, Peninsula Enterprise and Westward Pathfinder. The Women and Broadband Challenge Fund will boost the capacity of broadband projects to develop activity that encourages women-led businesses or potential female entrepreneurs to take advantage of superfast broadband to expand or set-up new businesses, including home-based businesses. The Women’s Business Council: findings and recommendations on enterprise estimates that there could be an extra one million female entrepreneurs in the UK if women had the confidence and support to start businesses at the same rate as men. The 40 superfast broadband projects in England were invited to bid to a £1 million Women and Broadband Challenge Fund to develop local projects that encourage women to be enterprising. Councils across Devon and Somerset are working together to bring faster broadband to the area and deliver improved broadband for rural Devon and Somerset – the “final third” – rural areas that are unlikely to benefit from commercial investment in broadband.The Connecting Devon and Somerset project covers Devon County Council, Somerset County Council, Bath and North East Somerset Council, Plymouth City Council, Torbay Council, and North Somerset Council areas. The project has secured £32 million of funding from the government agency Broadband Delivery UK (BDUK) and both Somerset and Devon County Councils will be putting in up to £10 million each. Further funding from Bath and North East Somerset Council brought the public sector total close to £53 million. With the £41 million additional investment from BT, Connecting Devon and Somerset is a £94 million project. Cosmic is an IT and consultancy business. Based in Honiton, East Devon. Cosmic are the programme leader for LOVE Digital and provide the trainers and mentors, workshops and content for the programme. They use our own resources to develop and deliver brilliant project work benefitting thousands of people. They pride themselves on being a great value supplier of services, and also on being an ethical business and social enterprise. Their services are designed to support and improve your use of computers, internet and other digital technology. They include websites, IT training, technical support and consultancy. Peninsula Enterprise deliver business support services nationally many of which are delivered in partnership with Cosmic. Peninsula Enterprise are the event and marketing function for the LOVE Digital Project. 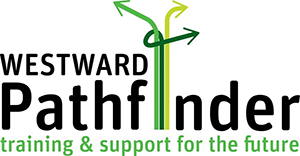 Westward Pathfinder is a local charity and an Ofsted Grade 2 training provider set up in 1999 to assist the unemployed, economically inactive and disadvantaged members of our communities into employment, education and training using a wide range of interventions. If you would like to know more about LOVE Digital please contact us.